A kidnapped prince, a school band competition and an electric cat that eats everything in sight! Here starts the tale of Ravana O’Brien, the intrepid teenage heroine of the series, a half-Australian, half-Indian trainee engineer who lives with her father in a forgotten asteroid colony ship drifting around Barnard’s Star. What began as a minor escapade to rescue her erratic electric cat soon becomes a fast-paced mystery of interstellar intrigue, taking Ravana and friends back into the civil war from which she and her father had fled. Hollow Moon is an incredible planet-hopping adventure into the shady world of politics, rebellion and school band competitions; a tale of mystery, humour and thrills! The first novel from The Worlds Of Hollow Moon. On the forbidding planet of Falsafah, archaeologists are on the verge of a discovery that will shake the five systems to the core. The second novel from The Worlds Of Hollow Moon. Raja Surya, young heir to the moon of Yuanshi, cannot stay out of trouble for long. Zotz Wak, intrepid boy inventor, decides Earth is the place to become a man. 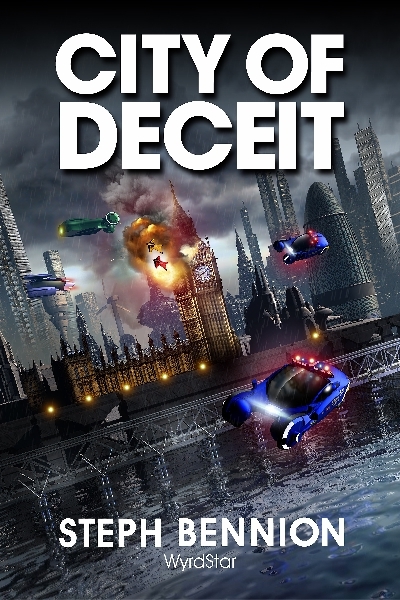 The eponymous City Of Deceit is the dystopian 23rd-century London, ravaged by rising sea levels, social inequalities and terrible politics. The United Nations is deciding the fate of Surya’s world. The Que Qiao Corporation is using the threat of alien monsters to call for war. Ravana O’Brien, the heroine of previous adventures, is stricken with a mystery illness and her hollow moon home has problems of its own. With the first ever interstellar battleships making their appearance, the far-flung worlds of the five systems would never be the same again. Taranis, the dark priest of destiny, has returned! The third novel from The Worlds Of Hollow Moon. A petty thief is offered riches to steal a very special device, but has he let the genie out of the bottle? Can a poor, down-trodden kitchen slave find her prince in the shape of a young, dashing space captain? A priest is rescued after a quest to find the mythical alien home world ends in disaster, but who is the mysterious stranger wearing his boots? A man caught up in a war wonders if he can go on, but can a hologram hope to convince him by showing the greatest blunders of his life? It is supposed to be the season of goodwill! > "GENIE And the LAMP"
> To Dance Amongst The Stars"
> "The Watcher And The Priest"
> "It's A Blunderful Life"
> Excerpt from Hollow Moon. > Timeline Interviews, Part 1: Prequels. When the power fails when parents are out for the night, is it wise to be wandering the forest with vicious robot wolves on the loose? Can a young boy change his destiny with the help of a fraudulent wizard and draw the sword from the stone? Are the city streets paved with gold for the lowly detective and a stolen brass clockwork cat? Who will help a downtrodden shopping mall Santa Claus to win back the spirit of Christmas? Can a lost little girl defeat the evil ruler with the help of her seven diminuitive miner friends? It is supposed to be the season of goodwill! > "Merry Christmas, Mister Wolf"
> "A Wizard, A Sword And A King"
> Timeline Interviews, Part 2: Main Sequence. Can a poor, down-trodden kitchen slave find her prince in the shape of a young, dashing space captain? When the power fails when parents are out for the night, is it wise to be wandering the forest with vicious robot wolves on the loose? A man caught up in a war wonders if he can go on, but can a hologram hope to convince him by showing the greatest blunders of his life? It is supposed to be the season of goodwill! > "To Dance Amongst The Stars"
> Excerpt from City Of Deceit. > Chapter One of Hollow Moon. NEW! Susan Jones, a transgender woman struggling to get by in the economic woes of 1990s Britain, is under the care of psychiatrist Doctor Mordussen. He in turn is obsessed by her disturbing nightmares. But are her demons real? An unexpected road trip to Ireland awakens traumas of the past. A seventeenth-century sorcerer, evil nurses, a castle reborn from the ashes and a bloodthirsty sheep do not making getting to the bottom of the mystery any easier. Can Susan's love of heavy metal, her battered Volkswagen camper van and two best friends save the day? Who really won the Battle of Hastings? Chicago teenager Jane Kennedy embarks on an adventure through multiple realities after fellow time travellers each realise they come from a future with a different past. Is there a rogue on the loose out to change history? A romp through alternate time lines in England 1066 to mark the 950th anniversary of the invasion that shaped Britain and Europe today. "Democracy; oh! It seems she is dying... Her guardians weave the final black shroud." 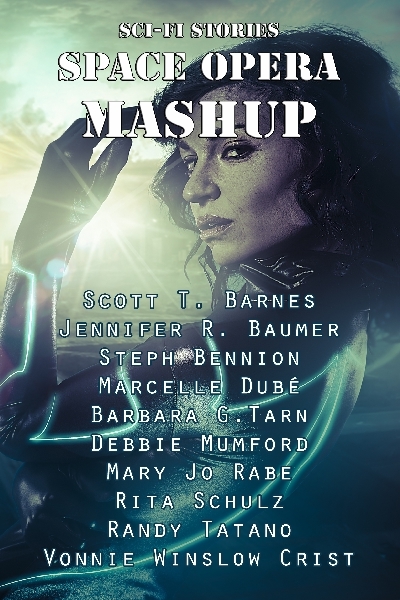 An anthology of science-fiction and fantasy short stories by indie authors brought together by the social network Goodreads. 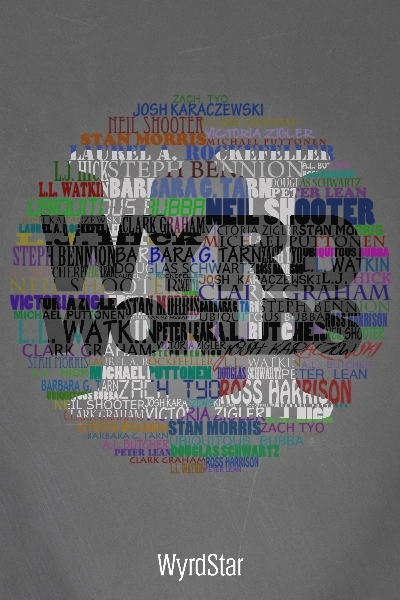 The collection, which contains 14 stories from 12 writers from around the world, includes a wide range of speculative fiction, from slices of fantasy and time travel to steampunk and science-fiction. The tales vary widely, yet are all born from the same drive to create, share ideas and above all to entertain! 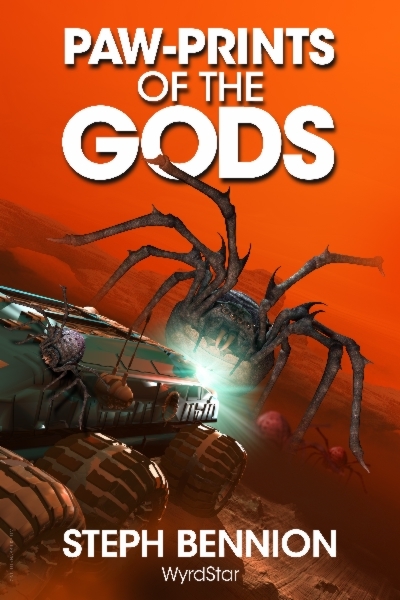 Includes the The Worlds Of Hollow Moon short story "In The Lap Of The Gods". Available free of charge from major ebook retailers. An anthology featuring a bumper 19 short stories from 17 independent authors from around the world, encompassing a wide range of science fiction and fantasy. Here lurks tales of the future, steampunk and time travel; of magical realms and fantastical deeds; and of things so weird they defy categorisation. 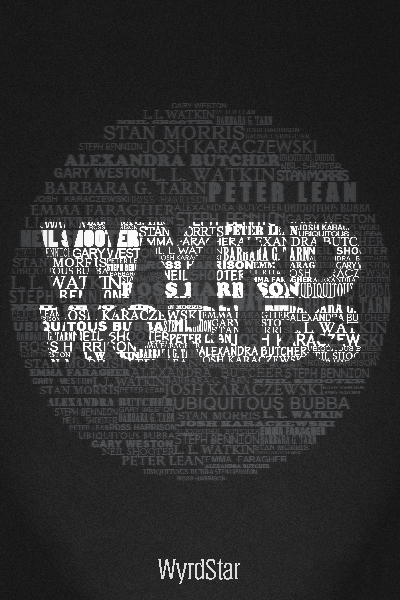 The original Wyrd Worlds rode upon a new wave of indie collaborations; and now we're back! Includes the The Worlds Of Hollow Moon short story "Rock Of Ages". 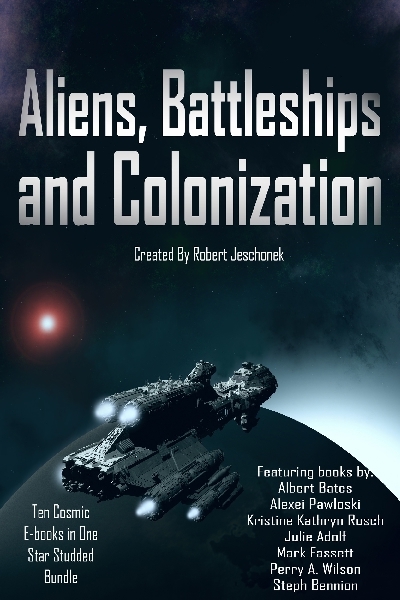 Includes stories by: Robert Jeschonek, Rebecca S.W. Bates, Kristine Kathryn Rusch, J.A. Marlow, Perry A. Wilson, Steph Bennion, Mark Fassett, Michael Kingswood, Blaze Ward, Debbie Mumford and Sabrina Chase. DIVE INTO A UNIVERSE OF SCI-FI WONDERS! This collection of sci-fi shorts features a variety of brainy young heroines - girls who engineer, tinker, experiment and more. 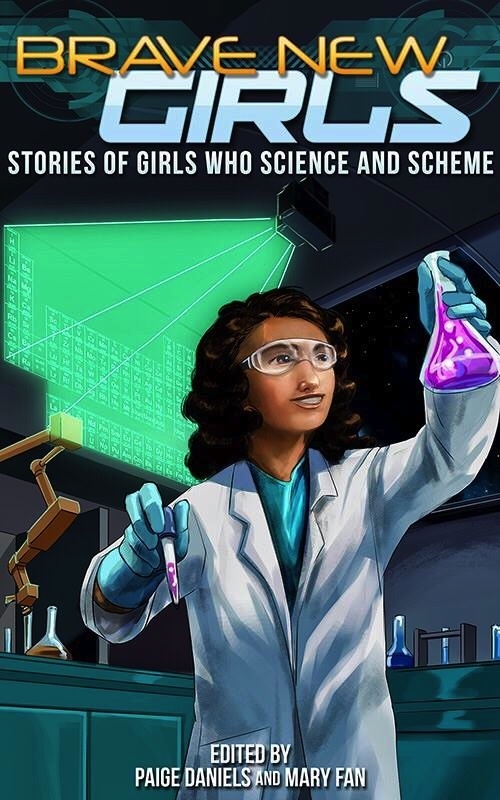 Proceeds from sales of Brave New Girls: Stories Of Girls Who Science And Scheme will be donated to a scholarship fund through the Society of Women Engineers. Let's show today's girls that they too can be tomorrow's inventors, programmers, scientists and more! SPACE OPERA GALORE! Tales from real planets and star systems as well as those of the imagination, hard SF and science fantasy, mystery and romance. Humans trying to meet aliens for the first time or trying to avoid them. Humans living with aliens in so-called harmony. Earth-based civilizations and alien humanoids. From Alpha Centauri to Epsilon Eridani and everything in between, the Milky Way in all its glory! Stories in this anthology are: "Murder on Marawa Prime" by Vonnie Winslow Crist; "Astromancer" by Debbie Mumford; "One Universe is Never Enough" by Mary Jo Rabe; "A Little Old Fashioned" by Rita Schulz; "Funeral Sails" by Scott T. Barnes; "Station OSCX-9" by Marcelle Dubé; "GENIE And The LAMP" by Steph Bennion; "Runaway" by Barbara G. Tarn; "Seeking Sky" by Jennifer R. Baumer; and "Final Chapter" by Randy Tatano. "GENIE And The LAMP" is a tale from The Worlds Of Hollow Moon. Is there a rogue on the loose out to change history? A romp through alternate time lines in England 1066 to mark the 950th anniversary of the invasion that shaped Britain and Europe today. Thomas of the Fyrd is recruited into Harold Godwinson's army to confront Duke William of Normandy. He is befriended by blond-haired Kauko, but what does he have planned for Thomas? King Harold is about to go in to battle against Duke William's invading Norman army. Among the ranks of the Saxons are two boys who shouldn't be there: Eadweard, and his best friend, Cerdic. SORRY, THIS BUNDLE IS NO LONGER AVAILABLE. Hop on this starship, destination universe... Buckle up and prepare to explore planets and galaxies in the near and far future. Get wrapped in this fun fever! 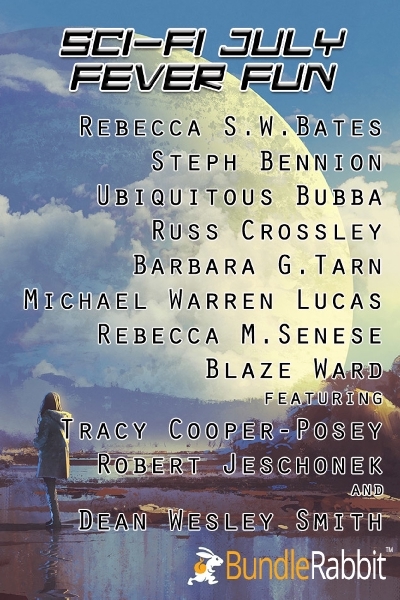 Includes stories by: Dean Wesley Smith, Russ Crossley, Rebecca M. Senese, Blaze Ward, Tracy Cooper-Posey, Steph Bennion, Michael Warren Lucas, Ubiquitous Bubba, Rebecca S.W. Bates, Barbara G.Tarn and Robert Jeschonek. 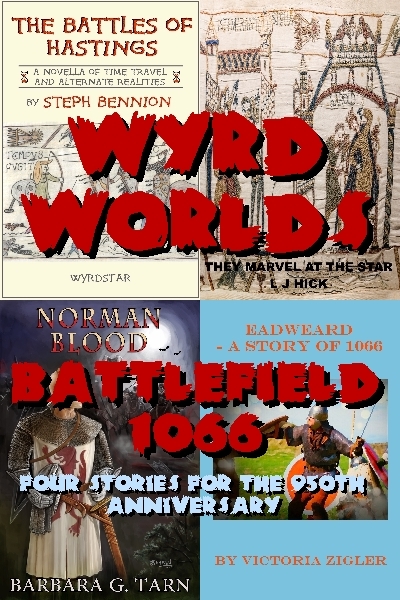 Please see WyrdStar News and the associated RSS feed for full details on the latest special offers on books (price reductions, Amazon free offers, Smashwords vouchers, etc). A summary of recent offers is below; older offers are here. Three Tales For Christmas FREE SHORT STORIES! 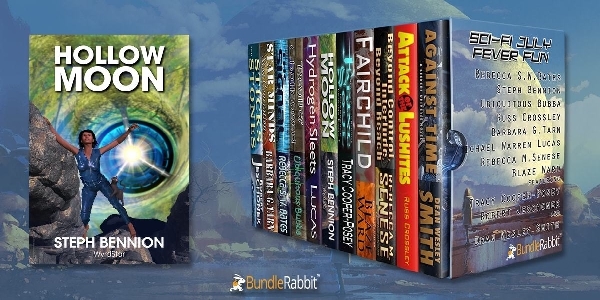 Aliens, Battleships & Colonization Sci-fi bundle including Hollow Moon; 11 ebooks for £1.99 / $2.99. 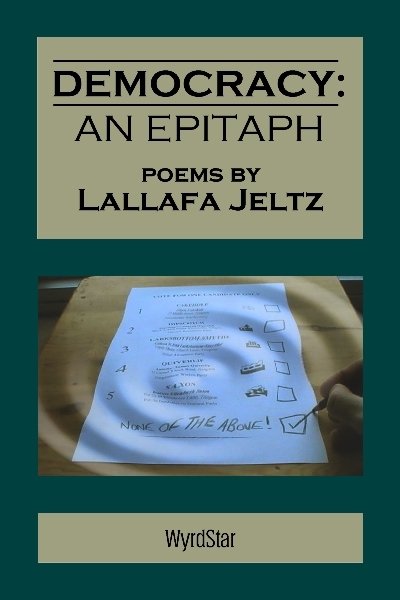 Democracy: An Epitaph Ebook available for 'you set the price' from Smashwords (RRP £0.99 / $0.99). 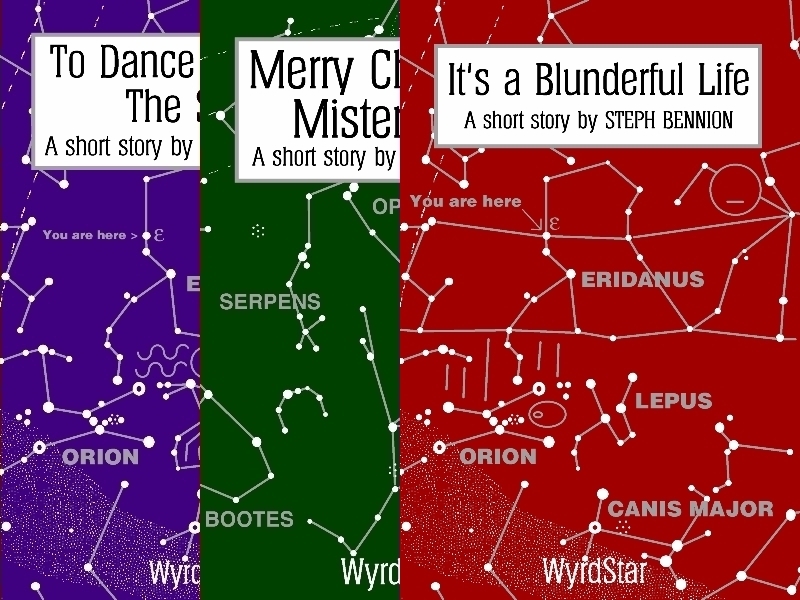 Smashwords 'Read An Ebook Week' WyrdStar titles 50% off with code EBW50, 3rd to 9th March 2019. 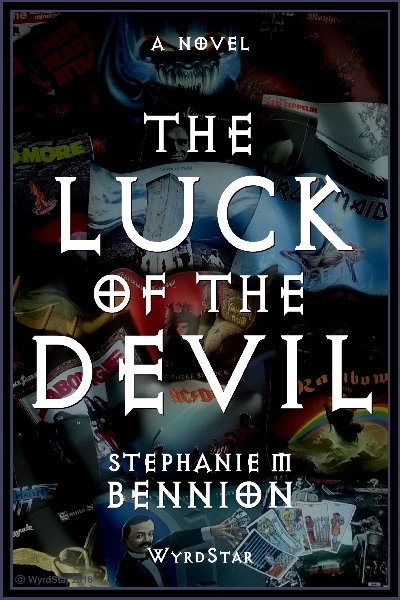 The Luck Of The Devil Ebook $0.99 from all outlets 1st & 2nd December (http://pattyjansen.com/promo/). 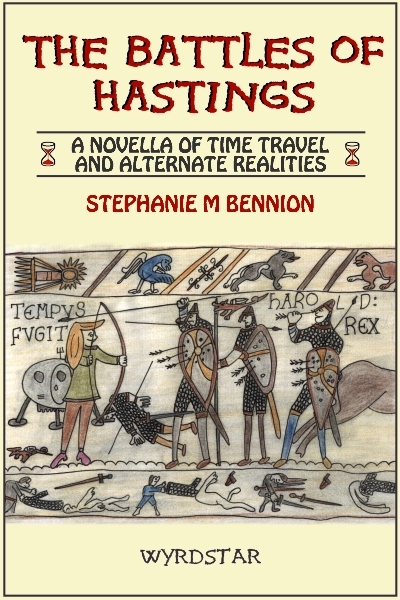 The Battles Of Hastings July sale, free from Smashwords with code SS100, 1st July to 31st July 2018. 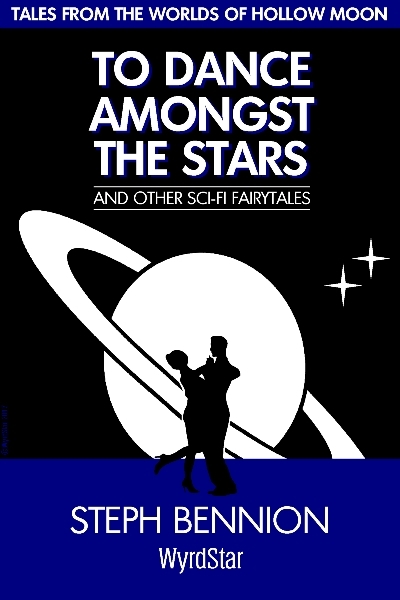 To Dance Amongst The Stars July sale, free from Smashwords with code SS100, 1st July to 31st July 2018. 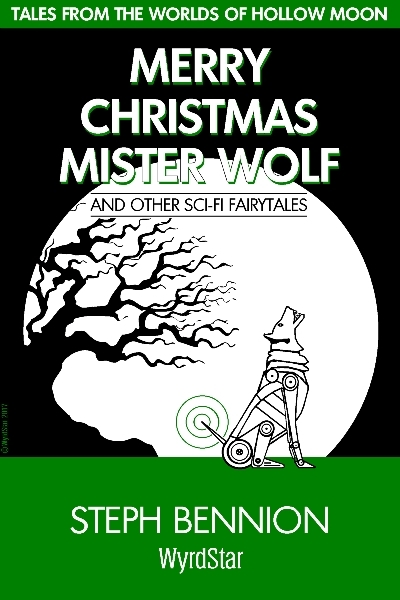 Merry Christmas, Mister Wolf July sale, free from Smashwords with code SS100, 1st July to 31st July 2018. Three Tales For Christmas Ebook free from Amazon UK / USA / etc. ; 11th to 15th June. 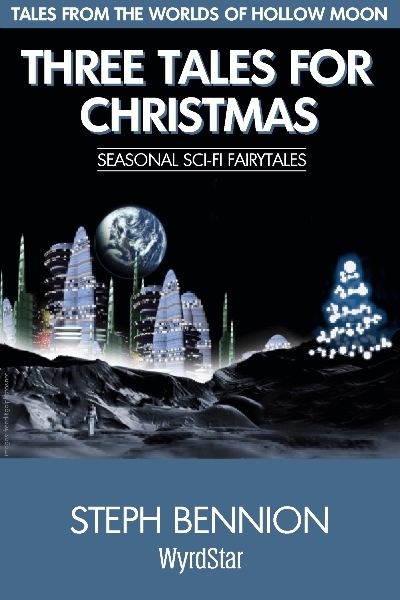 Three Tales For Christmas Ebook free from Amazon UK / USA / etc. ; 2nd, 9th, 16th, 23rd, 30th March. 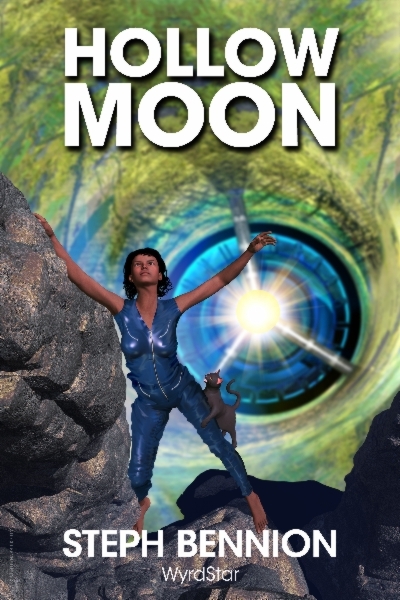 Hollow Moon Ebook $0.99 from all outlets 3rd & 4th March (http://pattyjansen.com/promo/). 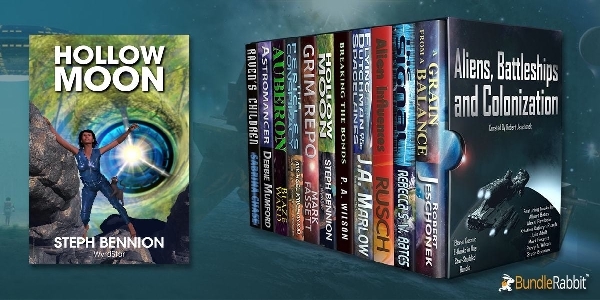 Sci-Fi July Fever Fun No longer available: Sci-fi bundle including Hollow Moon; 11 ebooks for $4.99. The Avalon Job will be the fourth novel in the Hollow Moon series. As the title suggests (to those familiar with previous stories, anyway), Ravana O'Brien and friends find themselves in the Alpha Centauri system, where the brutal Gods of Avalon holovid show subjects third-rate celebrities to a fantasy world made real by a sadistic audience. 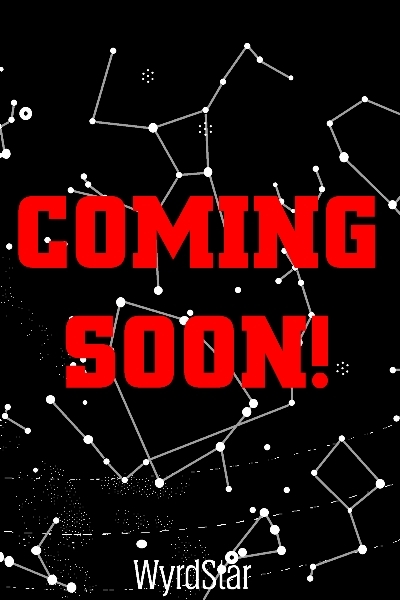 This story will be about the games people (and other beings) play, in more ways than one. A first draft is two-thirds complete with ten of fourteen chapters (100,000 words) written to date, but I'm not a speedy scribe (City Of Deceit took two and a half years from synopsis to publication), so The Avalon Job is unlikely to appear until early 2020. A paperback of this novel is on my 'to do' list for 2019. It's long overdue, I know (the ebook was published in 2016). At this rate you might get The Avalon Job (see above) at the same time... Steph. 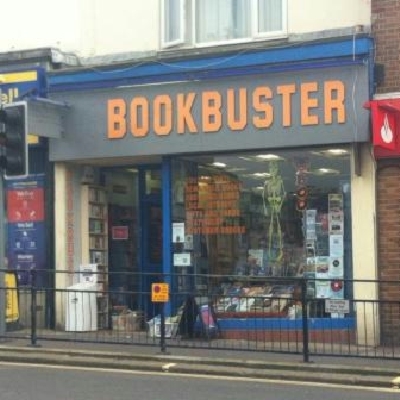 Paperbacks are now available from BOOKBUSTER, 39 Queens Road, Hastings (01424 539726). Do you write book reviews, online or in print? Are you an avid ebook reader who likes to blog about books or leave online reviews? Are you tempted by pirate download websites to feed the urge to read your purse cannot meet? Smashwords tokens for ebooks are available on request. To request free copies of ebooks, please contact WyrdStar Books stating which book you are interested in reading and (hopefully) reviewing. See also the Press Resources section for book cover artwork, author biography and so on. Thanks! PAPERBACKS: The novels Hollow Moon and Paw-Prints Of The Gods are available in paperback. For enquiries relating to purchasing paperbacks for a school or public library, please contact WyrdStar Books. 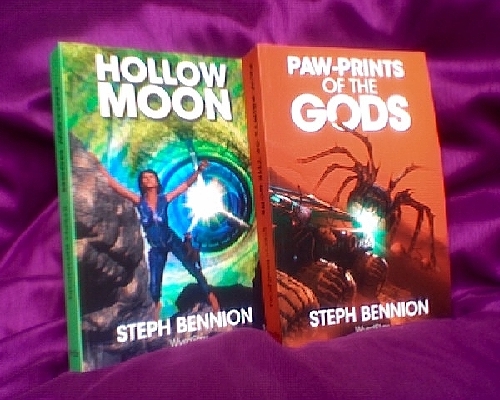 The science-fiction novels and short stories I publish under the name of Steph Bennion - that is, the books belonging to The Worlds Of Hollow Moon space-opera series - are aimed at young adults (and adults young at heart! ), with a reading age of 12+. There is no sexual content or profane language. Wyrd Worlds and Wyrd Worlds II contain a mix of tales, aimed at the general science-fiction and fantasy readership, some of which may contain scenes of a mild sexual nature.